Emergency Well Pump Repair Installation NJ - Well Pump Company Morris & Sussex NJ - irrigation, plumbing, residential and commercial. So you can count on us! 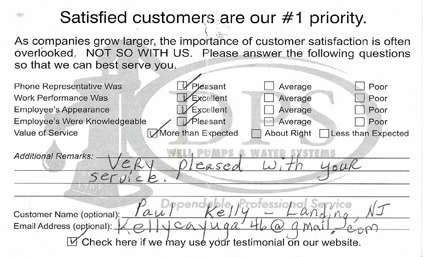 Well Pump Services and much more. 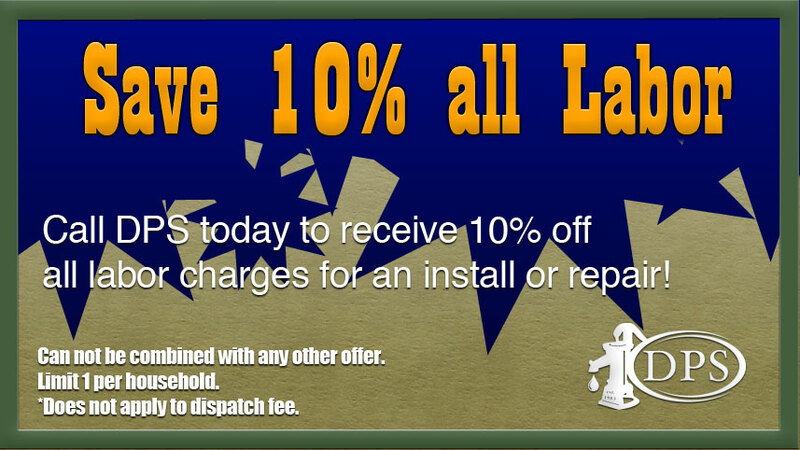 Need a brand new well pump system? 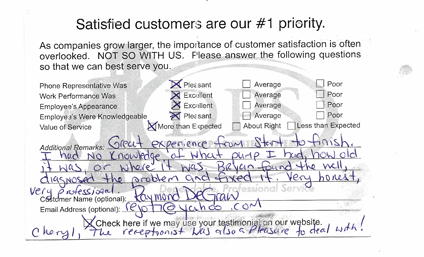 We don't just repair. We install too. 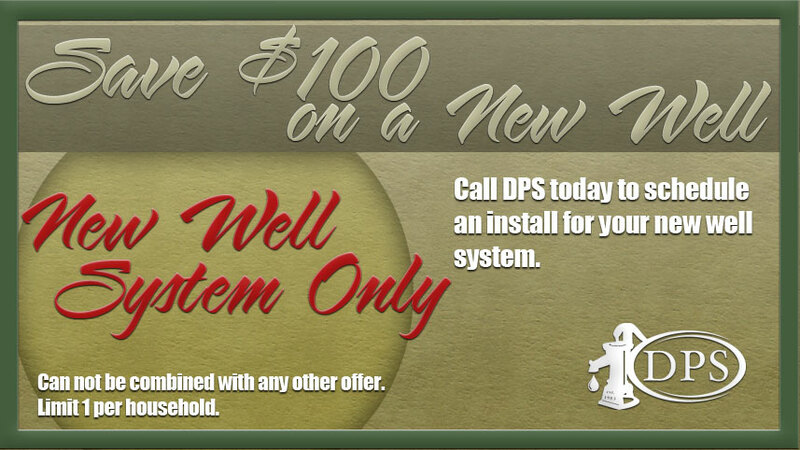 Call today for your new system. 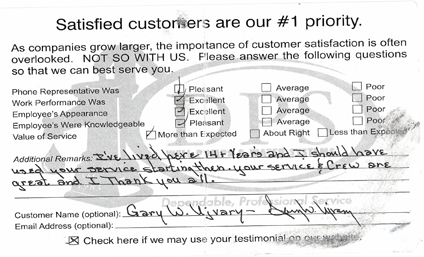 Our Happy Customers Keep Us Going. 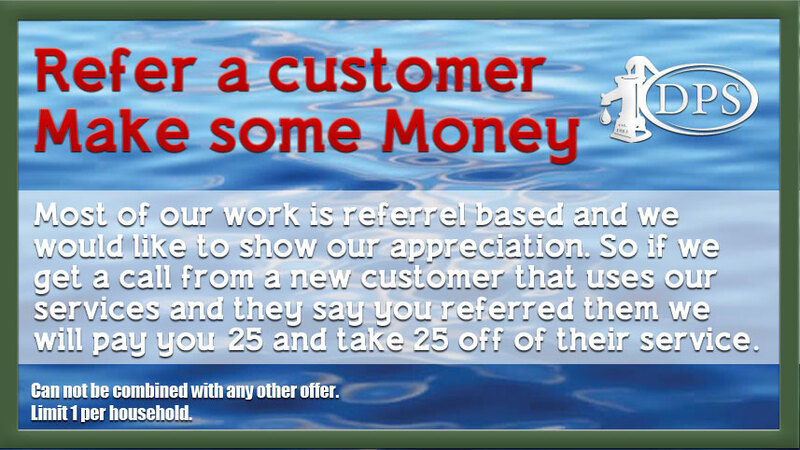 Refer us to a friend and make $25. They also save $25 off of their service. You help yourself, your friend and us. 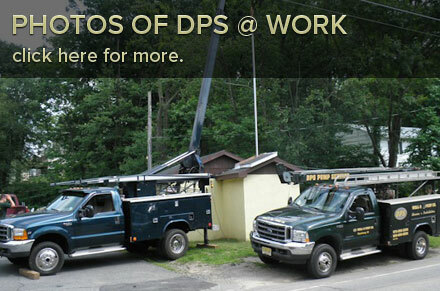 Founded in 1983, DPS Pump Service has been providing well pump services to Lake Hopatcong New Jersey and the surrounding area for almost 30 years. A family owned and operated business, our founder Walter Dora has been in the well pump business in New Jersey since 1960. Ask anyone around: our name means a strong commitment to quality and that we stand behind the products we sell. 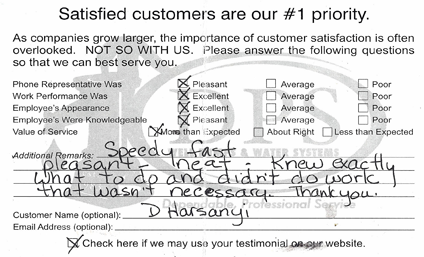 We are experts at installing and servicing constant pressure systems and geothermal pump systems as well. We also provide backhoe services, water sewer utility services and are experts in septic pump replacements and repairs. 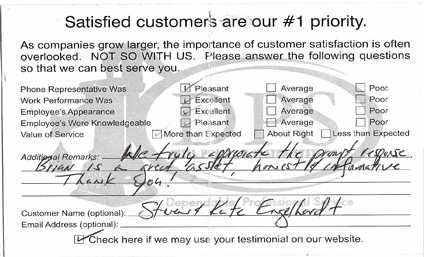 At DPS, we are dedicated to providing each of our customers with personal and professional service. 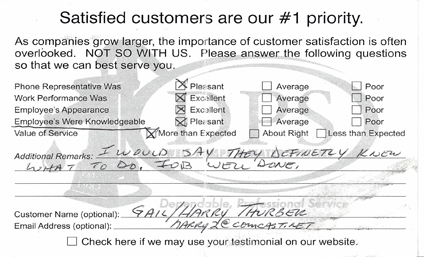 All employees are confident, courteous, well-trained, fully screened and wear uniforms. Our expert staff has years of experience drilling water wells and installing and repairing well pumps. 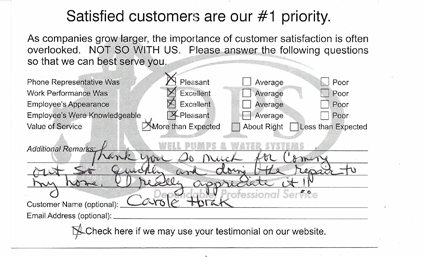 Our highest priority is to meet the needs of our customers, minimizing inconvenience and maximizing satisfaction. 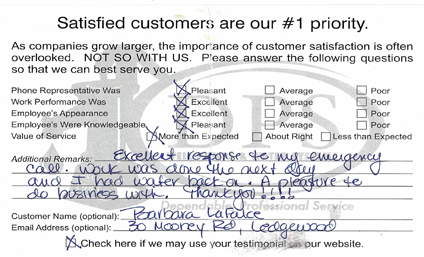 Call us today and let us resolve your water well, pumping system or water storage problems. Because we are dedicated to the water industry, we are also members of the National Ground Water Association (NGWA) and the Goulds Professional Dealers’ Association, and are a Registered Municipal Contractor.